Liz Thomas was born in Texas, 1991, and raised in Oklahoma. She has loved the outdoors as long as she can remember. Her 14 year Girl Scout career, from daisy to ambassador and camp counselor taught her many outdoor skills, becoming an instructor of canoeing, kayaking, rock climbing, ropes course, archery, singing, crafts, geocaching, and much more. Liz later attended college in Durango, CO, where she discovered outdoor rock climbing and slacklining. While completing her major in Mathematics and minor in Adventure Education, Liz was actively training both sports. 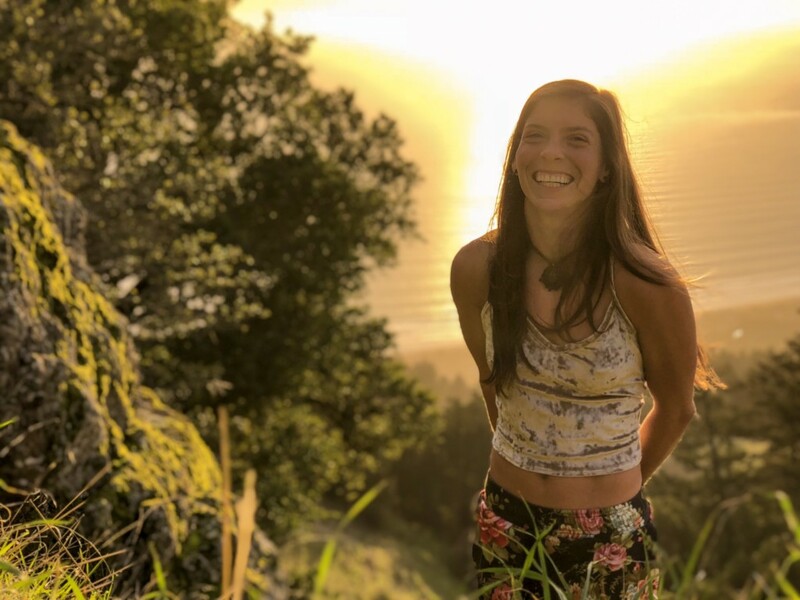 In the beginning, rock climbing was her passion and slacklining was an avid hobby but that has changed in the recent years. Liz is now a Professional Slackliner and Highliner, she has performed in several Circuses in Colorado. She also teaches and travels as a YogaSlackers Teacher across the country. But Liz isn’t just a slacker, she is also an acrobat, aerialist, handstander, and flow artist. Now Liz is living in San Diego, California, but can be found at many Highline gatherings all year round. She loves to teach and perform so please don’t hesitate to contact her about classes and privates. You can also follow her adventures on Instagram and Facebook. You can follow Liz on Instagram @lizasouras or contact her here!